High whiteness paper (170 CIE) for wide format inkjet applications. Specially treated for printing fine lines and bright colours. 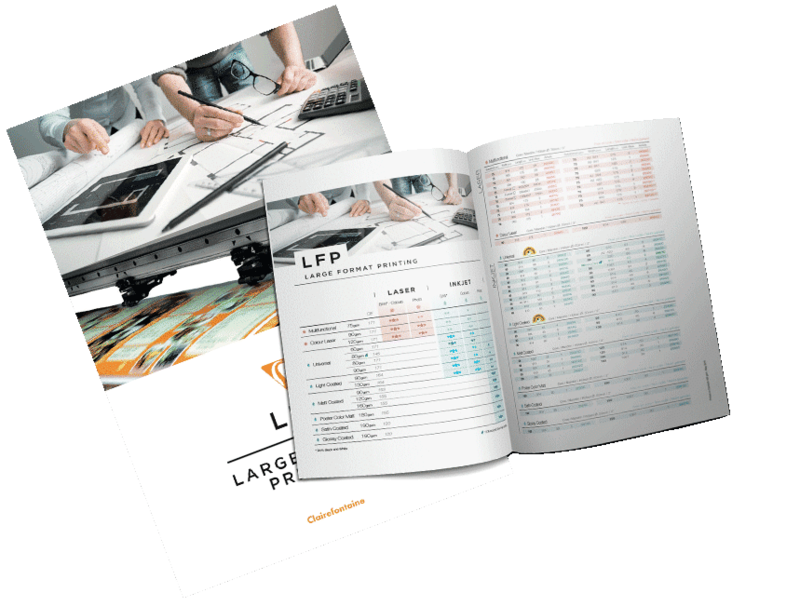 Ideal for mass plans, proofs and diagrams printing. High whiteness paper (164CIE) for wide format inkjet applications. For reproducing images, photos, posters or POS displays.